I hesitate to Google it, but I think the title of this shot is also the title of an album by Enya. Must have been buried somewhere deep in my subconscious. Anyways, about the shot. 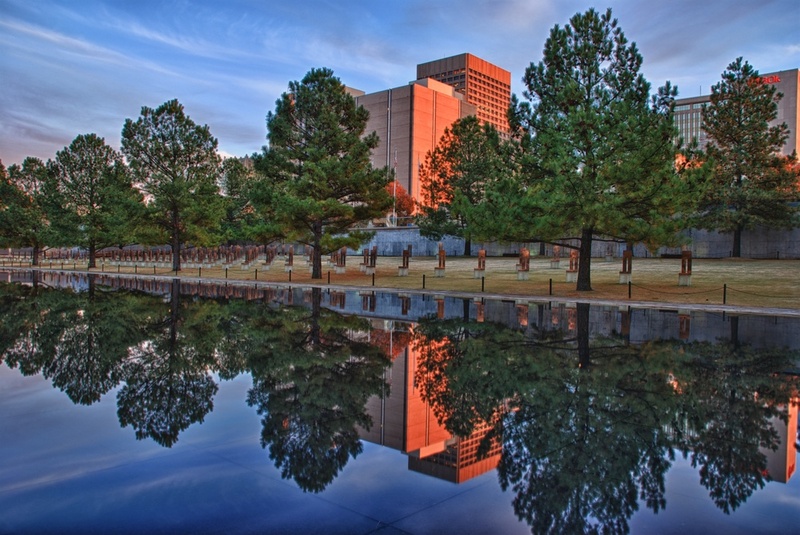 It was nearly sunset, and I was in Oklahoma City at the Memorial there for the Federal Building bombing that happened years ago. There is this wonderful shallow pool and these trees lined one side of it. Reflections are something I always chase with the camera, and this scene just screamed HDR to me. All those little things behind the trees are chairs, representing the fallen victims. There are small chairs which represent the children - oh and there are names on each chair. It's very sad actually, but a touching and beautiful tribute.